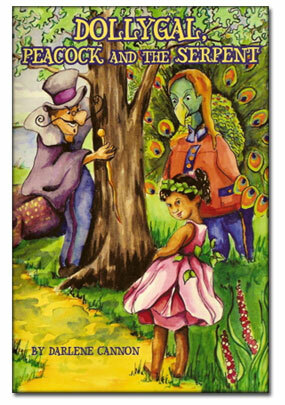 An interview with Darlene Cannon about her mystical fiction series, "Dollygal, Peacock and the Serpent." I work with senior citizens in the long beach area and surrounding cities. This is my first time writing a book, and I have many more to come. Describe your new book series for us. 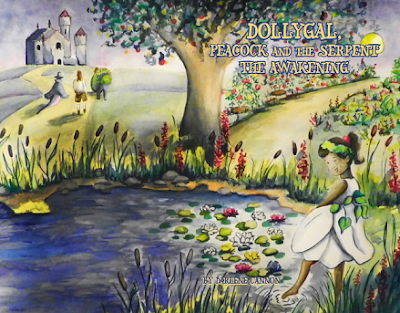 "Dollygal, Peacock and the serpent" are highly interactive mystical fantasy books. The trilogy series will challenge the reader of all ages, to be the best they can be...by simply being themselves. Who do you think would most appreciate your books? Young and mature people will appreciate the series. Tell us a bit about the main characters in the series. Dollygal is the main character of the story representing Love, Hope and charity. Brother Peacock represents nobility and brother serpent represents the opposite of good and Godfrey is a character that is very universal. What inspired you to incorporate themes of Love, Hope and Charity into your writing? Are there any aspects (e.g. character building, world building) of your writing that you've been working on? Every book adds new characters, because everyone is the victor in self realization. I like them, but I still like the original feel of a book in hand. To bring forth more Love, Hope and charity. Dollygal says, "The rain is singing a song can you hear it?" "I'm afraid not, honey," Peacock finally says. "Sure you can, just like at the lake. Let's close our eyes, but no peeking, Brother Serpent," Dollygal replies. "This is ridiculous. Rain does not sing tunes..." grumbled the serpent. Suddenly, a big smile appears on Peacock's face, and he says, "Wait a minute, I can hear the raindrop song. So can you, serpent, admit it." "Ha, ha, ha, ha." Peacock continues to laugh, as their carriage re-enters the castle gates. down through the Garden, passing by the flowers and the weeds, tickling the water in the lake and finally swirling around the most magnificent tree in the Garden.